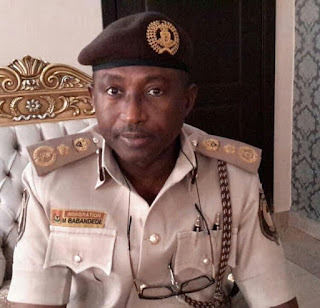 President Muhammadu Buhari has approved the appointment of Mr Mohammed Babandede as the new Comptroller-General of the Nigeria Immigration Service (NIS). This is contained in a statement signed by Mr Bassey Akpanyung, Permanent Secretary, Ministry of Interior, and made available to the News Agency of Nigeria (NAN) on Tuesday in Abuja. Until his appointment, Babandede was a Deputy Comptroller-General (DCG) at the Nigeria Immigration Service Headquarters. Babandede replaces Mr Martin Abeshi, who retired from the Service at the end of his tenure. The statement said that the appointment of Mohammed Babandede is to take effect from May 15, 2016.